Implementing a new fitness plan is challenging. Not only do you have to carve out non-existent spare time in your busy schedule, but “working out” is truly work. Fortunately, there are plenty of ways to make exercise fun! 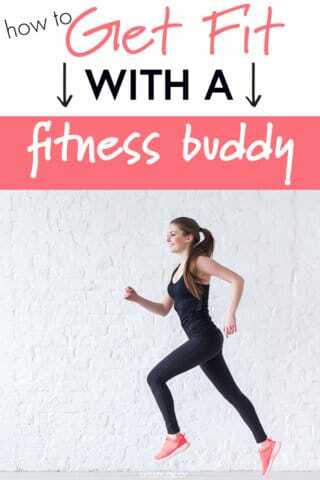 One of my favorites is having a workout buddy. I have a couple friends who live close by. Two mornings a week we meet up and exercise. Sometimes we just walk, sometimes we hit up the local stadium to run stairs and do sit ups and push-ups, or we drive to a trailhead and take a short hike. We even walk to the local Recreation center and take an aerobics class. It doesn’t really matter what activity you do as long as you get moving. It’s much more fun than going alone! And on mornings when the alarm goes off and I just want to stay in bed, the thought of my two friends waiting in front of my house is all it takes to get going. Not only is exercise beneficial for our physical health, meeting up with a friend gives you the chance to connect emotionally. I get to catch up with two people I care about and share things going on in my life. We are supportive for and uplift one another, especially when conversation veers toward relationships and raising children. Having those meaningful interactions regularly throughout the week can give you the support you need to keep trying and keep working. Helpful as it is to have a friend join you, working out with your significant other can be beneficial, too. Additionally, joining a gym with your significant other greatly decreases the chance that you will drop out, according to Jack Raglin, associate professor of kinesiology at Indiana University. One study, found here, tests how cardio performance is affected when motivated by a virtually present partner. The study concluded that women who had a virtual partner encouraging them could push themselves to exercise twice as long as women doing cardio alone. It helps when someone significant is beside you encouraging you to keep going when you feel like stopping, especially when he/she is in better shape than you are. Maybe a New Year’s goal was to get more active, or you are wanting to increase the quality of physical activity already present in your life. Perhaps you simply want to become more consistent. Wherever you are in accomplishing your goals, securing a workout buddy is definitely your best chance of success. Comment below if you have a buddy or would like to try it out! Krystal is a mother of four rambunctious kids, including a set of toddler twins. She loves all things creating, home improvement projects, being outdoors, and can often be found digging in the garden or reading a book. She can be found blogging about her adventures at Healthy Mom, Happy Home. Click here to follow her on twitter or Pinterest.